When chronic pain from disc disease interferes with your quality of life, you may be a good candidate for disc replacement surgery. 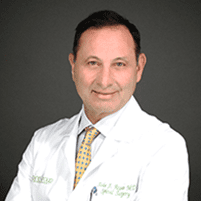 At Spine Group Beverly Hills located in Beverly Hills and Santa Monica, John Regan, MD, offers cutting-edge minimally invasive cervical and lumbar disc replacement surgeries to alleviate pain and improve functionality. Learn more about disc replacement surgery by calling Dr. Regan’s office or scheduling an appointment online. What are cervical and lumbar discs? In your spinal column, you have seven cervical, or neck, vertebrae and six lumbar, or low back, vertebrae. In between each of these vertebrae are discs that act like cushions, absorbing shocks and protecting your spinal nerves. The cervical spine contains smaller bones that offer support for your head and make a variety of head and neck movements possible. The lumbar spine had larger bones to support the weight of your upper body, allowing you to twist, bend at the waist, and flex your hips. When cervical or lumbar discs are damaged or diseased, they can cause chronic pain and immobility. Why might I need a cervical or lumbar disc replacement? Disc replacement is a surgical procedure where Dr. Regan removes the damaged cervical or lumbar disc and replaces it with an artificial disc. With these conditions, the discs in your spine may put pressure on the spinal cord or the nerve roots in the spinal canal. You may need surgical replacement when other treatments, such as physical therapy and medications, aren’t effective in treating your pain or improving your mobility. Is minimally invasive surgery available for disc replacement? Yes. As a pioneer in minimally invasive spinal surgeries, Dr. Regan can use specialized surgical techniques to remove your diseased or damaged disc and replace it with an artificial one. Using minimally invasive surgery, Dr. Regan can successfully replace the disc in less time than with open surgery. He uses small incisions to access the disc, ensuring there is less bleeding and a faster healing time than with traditional surgery. By replacing the diseased or damaged disc, Dr. Regan can help you enjoy long-term benefits of increased mobility and functionality and a dramatic decrease in chronic pain. Learn more about the benefits of minimally invasive disc replacement surgery by calling his Beverly Hills office or using the online booking feature.